Early in my career, I had an epiphany about strategy. The essence of strategic decision-making is stratification. Successful companies analyze and stratify multiple strategic alternatives that have the potential to address complex problems, until one that is best for the company emerges. But strategic decision-making is performed poorly in the corporate world today. Decisions are often based more on political expediency and executive intuition than facts. Even in this age, where information is so freely available, facts essential to a decision are undiscovered. In some instances, decisions are made so quickly it would be ludicrous to believe they were fact-based. Ironically, in other situations, decisions take so long that they become irrelevant. 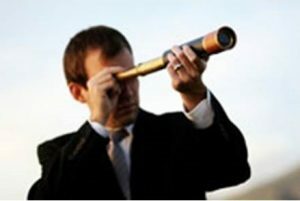 The question is, “How to help executives formulate strategy in the compressed time frame demanded by their position?” I realized senior executives needed an approach that allowed them to fit strategy decisions around the operational decisions that consumed their day. That is the purpose of the Lean Strategic Decision Model® (LSDM). This methodology provides a simple approach for driving effective strategic decisions using an efficient process. I first developed the Lean Strategic Decision Model® as the leader of a multidisciplinary task force established to select the next generation portfolio for our half a billion dollar franchise. We spent months of fruitless effort evaluating our problem. Finally I recognized that the team could move no further because of poor communication resulting in incomplete issue framing, inadequate issue identification, endless data collection and detrimental group dynamics. The team’s multidisciplinary composition limited our ability to communicate and collaborate. I developed a process that broke the issue into smaller components and presented complex data in an easily understood format. Using this process as our guide, we successfully forged the new franchise. Since then, I spent years fine-tuning this approach, culminating in an explanation of the Lean Strategic Decision Model® in my business book, Stratification: How strategic decision processes will create sustainable competitive advantage. Why do I describe LSDM as “lean?” This term was first introduced to the business community by Krafcik, who examined the Toyota manufacturing approach, emphasizing the systematic elimination of waste in its automobile production process in order to drive economic value and quality improvements. The LSDM was established on the foundation of similar principles: eliminating waste, examining business activity differently, and creating value with less work. This strategic decision process organizes the traditional business decision model into a more productive methodology, specifically by designing efficiency into the final three decision steps: information procuring, information analysis, and alternative selection. LSDM accomplishes this by forcing decision-makers to break the organization’s complex strategic issues into smaller, more understandable segments. These segments, or criteria, analyze the strategic alternatives by applying a predetermined ranking scale. 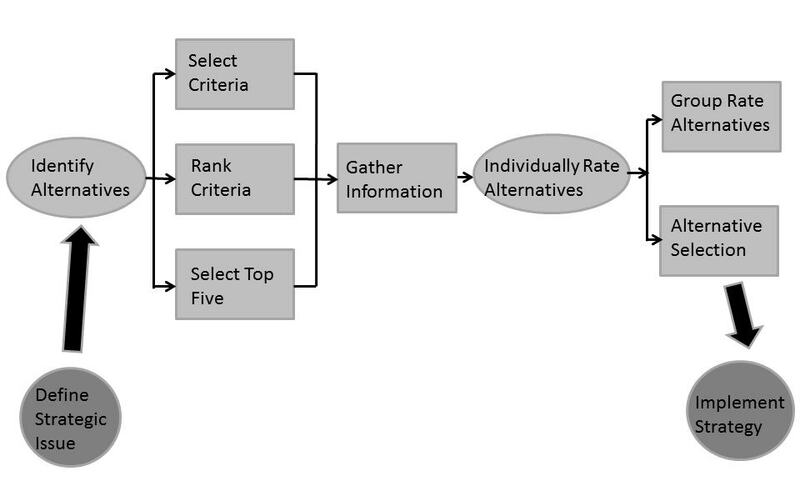 Since the criteria-ranking scale is usually quite broad, data collection is minimized. Following this new analytical approach allows complex situations to be examined efficiently and results in better decision outcomes. Want to know more about Steve and his business? Interested in learning more from Steve? Visit his Heads or Tails blog by clicking here.